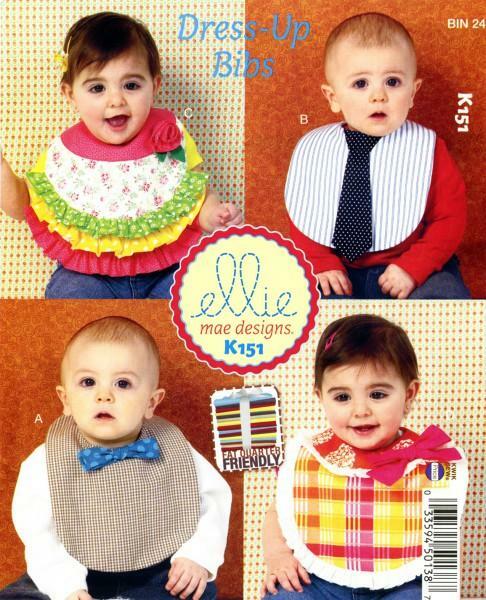 These adorable bibs are perfect for the little ones! ViewsA & B feature ties, so cute for a little boy. Views C & D have ruffles and would look so pretty on little girls.